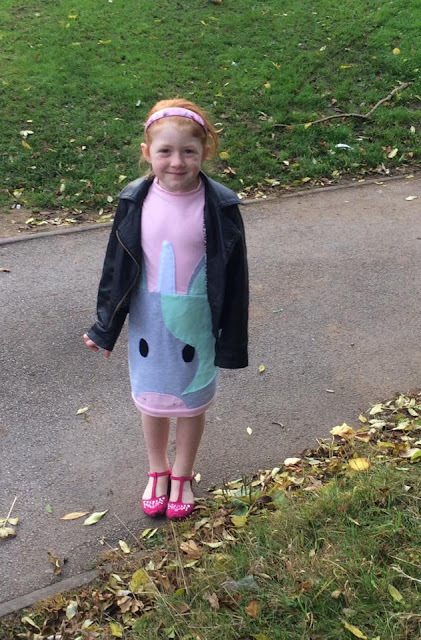 Trials & Tribulations Of A Brummie Mummy: What Lexie Wore - Unicorn Jumper Dress. What Lexie Wore - Unicorn Jumper Dress. It's been a while since I updated you with a post on what Lexie has been wearing. 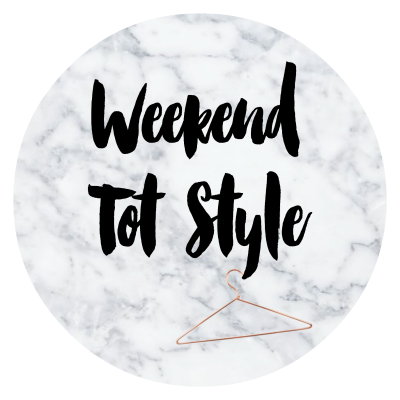 I've been topping up her winter wardrobe so hopefully I will be back on track with some lovely new posts. Everyone knows Lexie is rather girly and she loves anything that is pink. One of my Facebook friends is so good at making clothes, when Lexie was smaller I got some stunning handmade dresses from her. She has rebranded now and is making some unique and stunning pieces. Please go and give her Facebook page a like & check out her esty shop. I bought a lovely unicorn jumper dress, it looks great paired with some tights. Then when she grows slightly taller because it's quite baggy fit it will team up as a more fitted jumper. It really suits Lexie's style and she is a huge pony/unicorn fan. We have already had so many complements when she has worn it out and about. Sew Crafty Designs is super talented and if you have any ideas at all you would like created her favourite thing is to make people's ideas come to life. Check out the new lot of funky prints that are available in the shop now. Labels: What Lexie Wore - Unicorn Jumper Dress.